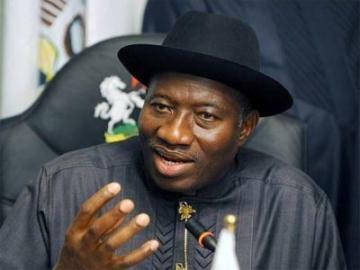 Reactions to what was a hugely successful declaration by President Goodluck Jonathan, last week, may not come to an end anytime soon. The president, who was popularly elected by Nigerians in April 2011, only on Tuesday, November 11, at the Eagle Square, in the heart of the Federal Capital Territory of Abuja, declared his readiness to accede to the call of his party members in the Peoples Democratic Party (PDP) to run for a second term in office. At that same venue on September 18, 2010, an inno-cent and lamb-like Niger Delta ‘boy’, Jonathan, had captured the minds of Nigerians with his captivating Nigerian dream grass to grace life-story. For so many people, their takeaway from the presidential declaration was the remarkable improvement in Jonathan’s public presentation skills. For some others, they are quick to observe that like red wine, the president is getting better and better every day in carrying himself as president of the most important country in Africa. For many others as well, it was simply the mammoth crowd, easily the largest ever seen in Abuja since the talk of 2015 general election began. Yes, we saw Muhammadu Buhari, the most visible aspirant from the opposition clan at the same venue; we saw the former Vice-President Atiku Abubakar, at the Yar’Adua Centre; we equally saw the governor of Kano State, Rabiu Kwankwaso, another aspirant from the All Progressives Congress (APC) at the old Parade Ground Abuja. The crowd from all of these APC presidential outings put together does not come close to what happened at the Jonathan declaration a few days ago. Even then, the remarkable aspect of the President Jonathan’s presidential declaration event has nothing to do with the crowd and attendance. But it has everything to do with the way and manner Jonathan conducted himself admirably, not just as the PDP candidate but more importantly as the Nigerian President. His speech was wonderful not because of its literary or poetic richness, how well it was scripted or smoothly delivered. No. Rather, for the first time in our political history, we are witnessing a revolutionary change in the language of political discourse and electioneering dwelling on development issues – away from infantile personal attacks and cheap blackmail and propaganda. Has anyone spotted that Jonathan’s declaration speech contains as many as 5,049 words encapsulated in 112 paragraphs and from the beginning of that speech to the end, there was no single mention or reference to the opposition party, APC, and its leaders? Instead, the president started by taking Nigerians on memory lane from how he sought their mandate and got it in 2011 and the promises he made. Yes, he admitted that along the way there have been challenges and obstacles especially of security nature that have bogged down the government and the people. Yet, in spite of these challenges, Jonathan said his government has stayed forthright to the pact he made with the Nigerian people to serve them. He dwelt extensively on the projects he has delivered since he was elected in 2011 and how the general life chances of the Nigerian people have improved since then. Listening to the president reel out the infrastructure transformation that has gone on in the country under his watch, it is amazing what he has achieved in three years in the agriculture, transport (road and rail), power, health and political sectors, for instance. In offering himself for service to the people for another term in office from 2015, the president did not apportion blames, point fingers of guilt or cast aspersions on the main opposition party, APC, even though there are millions of reasons to do so especially as APC and its leaders are doing so every time. Again, instead, Jonathan admitted that there are quite a lot more to be done to improve the lives of the people. He indeed lifted not a few souls by painting the picture of what is possible in our country when citizens come together to build the nation. Let it be known today that President Jonathan has already set the benchmark for clean campaigns in the run-up to 2015 general election. Politicians are free to campaign but in the national interest they must learn to stick to issues of development and national unity and refrain from incendiary remarks, personal attacks and the free hurling of abuses and blackmail.